Maraging steels are widely used in the aerospace industry for the manufacture of precision parts. However, surface integrity of ground maraging steels has received little attention. 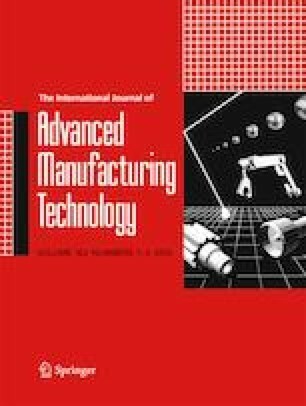 In order to explore the surface integrity of ground maraging steels and help contribute to develop the strategy of grinding these steels, surface integrity components such as roughness, surface defects, microstructure, and residual stresses in grinding of C-250 maraging steel (3J33) were studied. Grinding experiments were performed using resin-bonded and electroplated CBN grinding wheels with two different grain size (180# and 320#) abrasives in the cases of dry and wet grinding conditions. The results show that under the dry grinding conditions, the electroplated CBN grinding wheel is more suitable for grinding of C-250 maraging steel than the resin-bonded CBN grinding wheel. Compressive residual stress depth profiles (maximum value is up to − 200 Mpa in grinding direction), a good surface finish (Ra = 0.56 μm), and a minimum deformation layer thickness (less than 2 μm) can be achieved when dry grinding using the electroplated CBN grinding wheel with 320# grit size. Under the wet grinding conditions, benefitting from the fact that the cooling lubricant is more effective in improving the grinding performance of the resin-bonded CBN grinding wheel than in improving that of the electroplated CBN grinding wheel, the resin-bonded CBN grinding wheel achieved similar surface integrity to the electroplated CBN wheel in grinding of C-250 maraging steel. Funding support to this research was received from the National Natural Science Foundation of China (Grant No. 51675096).